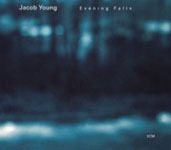 The enigmatically beautiful Sideways is the second ECM release from Norwegian/American (not Norwegian-American) guitarist and composer Jacob Young, coming four years after Evening Falls (ECM, 2004). 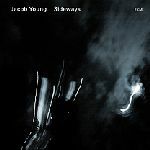 While Evening Falls might have been a prime example of the ECM sound/aesthetic, Sideways ups the ante, demonstrating Young's very strong control over the elements of his music, while never allowing the resultant sound to give away its secrets. Sideways is the ultimate paradox, as all kinds of opposites are successfully fused to create the whole. The music has a languorous beauty that is coolly romantic, with a sensuousness that has a touch of melancholy. Nevertheless, there is a strong intensity buried deeply beneath the surface beauty, saving it from being superficial and merely pretty or trite. This intensity also supports and counteracts the slowness of the music and its minimal range of volume and overt emotion. Harmonically, Young's music feels circular rather than direct, and yet there are cadences that indicate that a key was present all along. Whether that key was major or minor is an issue that is never clearly settled as the music vacillates between the two. Ironically, this harmonic instability is strongly controlled and thus the music never meanders. Strong melodies, or at least melodic fragments, are continuously presented, along with actually hooks, and yet, by the end of the album you might be hard-pressed to sing back a single one. In this respect, this album closely resembles The Source's eponymous 2006 ECM release, on which bassist Mats Eilertsen also played, in that it feels like high-tensile gauze, or a spider's web; something very strong, but apparently not there. Sideways is a true group effort, where solos exquisitely arise out of the flow. While the compositions are all by Young, much of the acidic intensity that balances the sweetness comes from drummer Jon Christensen, who is almost forty years his senior. His razor-sharp cymbal work and incisive, yet flexible pulse supports and pushes the rest of the band. 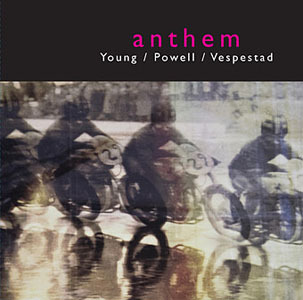 An ECM veteran from the label's inception, he is free to play what he feels in the moment, with Young's complete approval. Trumpeter Mathias Eick is glorious throughout, and if it weren't clearly to the contrary, the album could be his. His lines represent another aspect of the paradox in that they continually surprise yet never shock. He rarely makes large intervallic jumps, and yet the musical space he traverses feels immense. "Out Of Night," which, at over ten minutes is almost twice as long as any other track, is placed squarely in the middle of the album and demonstrates every detail of Young and his quintet's approach, including Vidar Johansen's dual role as colorist, when he plays in unison with Eick, and soloist. The music unrolls effortlessly, completely under control but with a seductive freedom. Sideways is remarkable in how its many layers interact to produce music that combines beauty and intellectual rigor. Track Listing: Sideways; Time Rebel; Slow Bo-Bo; Near South End; Out Of Night; Hanna's Lament; St. Ella; Maybe We Can; Wide Asleep; Gazing At Star. 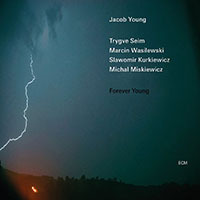 Personnel: Jacob Young: acoustic and electric guitar; Mathias Eick: trumpet; Vidar Johansen: tenor saxophone, bass clarinet; Mats Eilertsen: bass; Jon Christensen: drums.